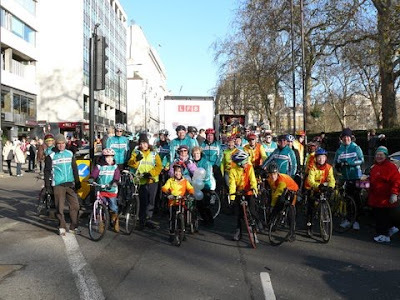 There was a great turnout of Willesden and Slipstreamer riders on London’s 2010 New Years Day parade. Our club colours were beamed across the globe to an estimated TV audience of 200 million viewers. What do you mean you missed it!!! We were warmly received by the large crowd who braved the sunny but bitterly cold day. 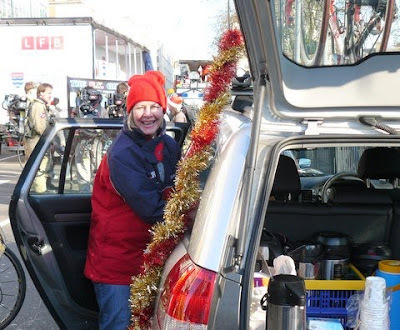 Thanks go to Ray Kelly who organised the day and kitted every one out in Willesden kit. 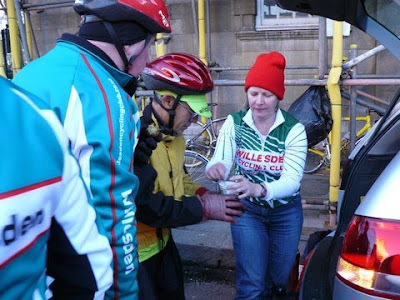 An especially big thank you to Julie May who provided loads of snacks throughout the day and of course her legendary Baileys/Hot Chocolate cocktails at the end of the ride. Thanks to all of you who took part and made it such a good day – the feeling will soon return to your toes and fingers! Julie’s field kitchen swings in to action. The Clubs pose before the start. 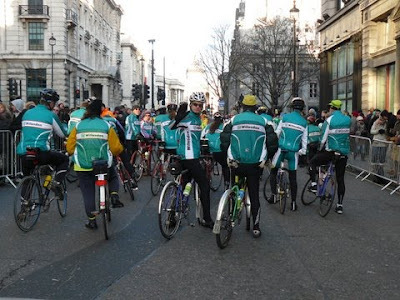 Wall-to-Wall Willesden riders during the parade. The post-parade queue for Julie’s Baileys/Hot Chocolate restorative!